What started out as a very promising week turned into a disappointing one in the end. When heading to Turkey I was looking for a good week to secure my place in Sun City and also Dubai, but more importantly I was there to win. With the start I got off to on Thursday I put myself right into the tournament. Six under par in round one had me one shot off the lead. I was very happy with how I played and, if anything, was a little disappointed that I only shot 6 under. However, Friday and Saturday were different for me. On Friday I got off to a nice start by birdieing the first and then two pars. Looking back on the week it was the 4th hole that affected the rest of the week for me. I played it lovely and had a 10 footer for birdie which I missed and left myself a 2 footer for par. I then missed that too and it definitely rocked me. For the rest of Friday and Saturday I struggled with my putting. I lost my confidence on the greens and ended up having a number of three putts over the two days. Tee to green I played solidly and gave myself plenty of birdie chances, but as a result of my poor putting I ended up shooting 70 and 71 on Friday and Saturday, respectively, which dropped me down into the mid 20’s. Going out on Sunday I was looking to have a good day to move up the leaderboard and to secure a place in Sun City. I played solidly from tee to green again and putted nicely. I made three birdies on the front nine to be 10 under par for the tournament which had me in a good position with the back nine to play. The hardest hole on the course is the 10th as it is a tough drive with water all down the left. I got a bit anxious over my drive and ended up hooking it into the water. Then my third shot came up short in the water as well and I ended up taking a 7. I gave back all my shots in one hole and all the hard work I had done on the front nine was gone!! I did make a birdie on the 12th to get back to 8 under which steadied the ship. Pars on 13, 14 and 15 followed and then on 16 I had a four footer for birdie to go 9 under. I missed it and then a pulled drive on 17 which cost me a bogey and then, to add insult to injury, I hooked my tee shot on 18 into the water. I managed to make a bogey and finish on 6 under for the week, but after starting at 6 under to finish on that score was poor. Finishing the way I did was extremely disappointing especially as I missed out on qualifying for Sun City automatically by one shot! Whilst I have received an invite to Sun City, it means that any money I win doesn’t count on the Race to Dubai and so I can’t qualify for the final event next week in Dubai. In the end it was a frustrating and disappointing week. I played very nicely from tee to green but a couple of bad putting days cost me dearly. Padraig shoots a final round of 72 to finish at six under par and in a tie for 35th place. He got off to a wonderful start with three birdies on his first nine to be out in 31 shots. But a treble bogey seven on the par four, 10th hole, derailed him on the back nine. He fought back to birdie the par five, 12th hole, but two closing dropped shots saw him lose valuable ground to the field! Padraig follows up his opening effort with a one-under-par round of 70 to sit in tied 11th place, five shots behind the leader, Justin Rose. He got off to a birdie start to tie the lead before two dropped shots mid-nine dropped him back down the field but he managed to birdie the par four, 9th hole, to be out in level par. He dipped back under par again at the par five, 12th hole, before a strange finish saw him make just one par in the last six holes! He did manage to eagle the par five, 15th hole, and will go into the weekend full of hope. He tees off at 11.20am local time in the third round! 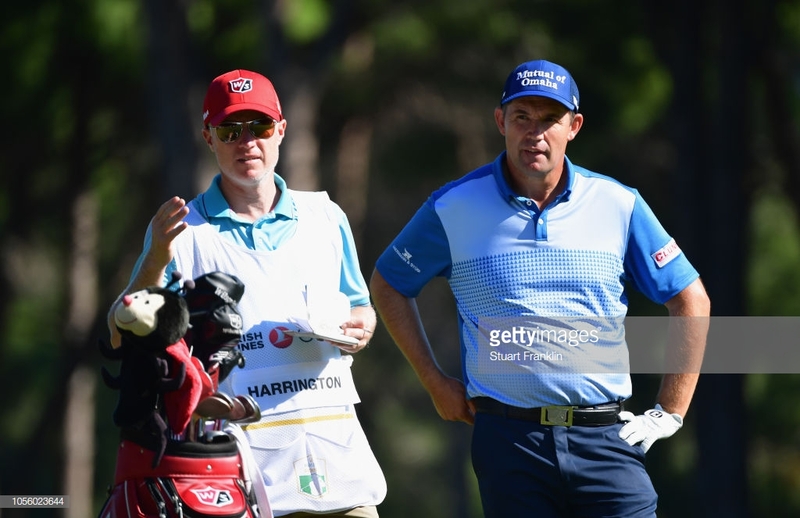 Padraig opened his campaign at the Turkish Airlines Open with a sizzling round of six under par 65 and trails fellow Irishman, Paul Dunne, by just one shot. He got off to the perfect start, with four birdies in his first five holes and his only blemish for the day was the par five 7th hole where he took a six. Three more birdies followed before he closed out with five straight pars. It continues his fine run of form since he has returned to Europe. He tees off on Friday at 12.05pm with Justin Rose and Paul Dunne. 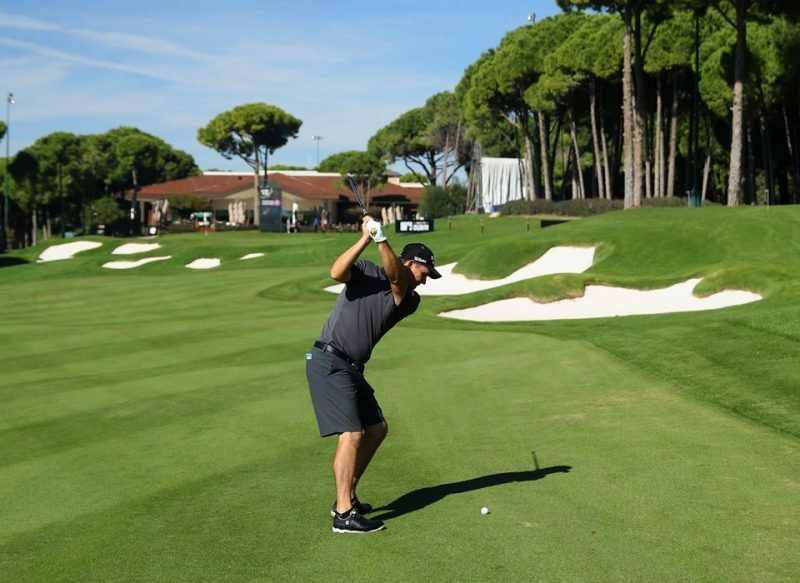 Padraig is in Turkey this week for Turkish Airlines Open, the sixth event of the Rolex Series, an eight-event series which culminates at the Race to Dubai finals. 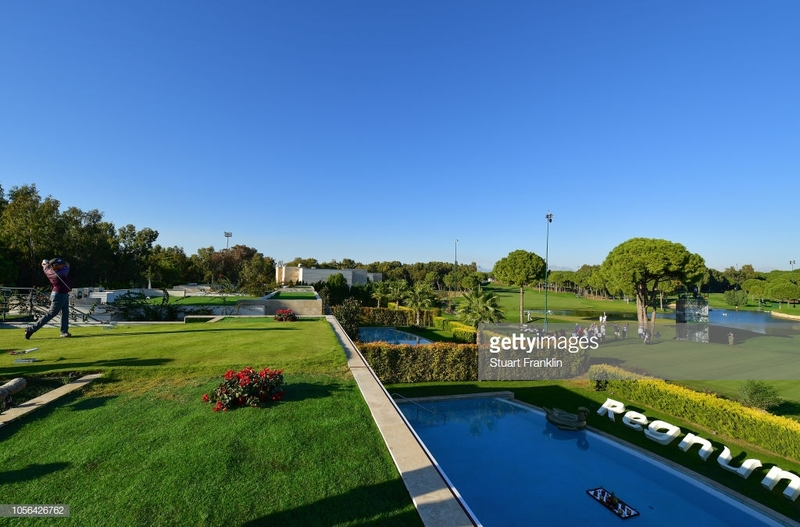 This event is being played at the Regnum Carya Golf Resort in Antalya, Turkey and a who’s who of European golf is here this week. Tommy Fleetwood will be attempting to defend his Race to Dubai title but it is Ryan Fox who has the most blistering form around here with an amazing six top ten finishes in this event! Padraig tees off at 11.25am local time with Martin Kaymer and Ryan Fox and will be looking to continue his rich vein of form since he has returned to the European Tour. Justin Rose, who himself is in a rich vein of form is the defending champion this week! This week I’m in Turkey for the Turkish Airlines Open. Last year I played here on an invite which meant that any money I won didn’t count on the Race to Dubai rankings, but this year I am qualified off my current ranking and so anything I make this week counts. This is my third year playing here at the Regnum resort, but the fourth time at the Turkish Open. Every year I come I am more impressed with the area. The hotels are fantastic and the golf courses are well designed. 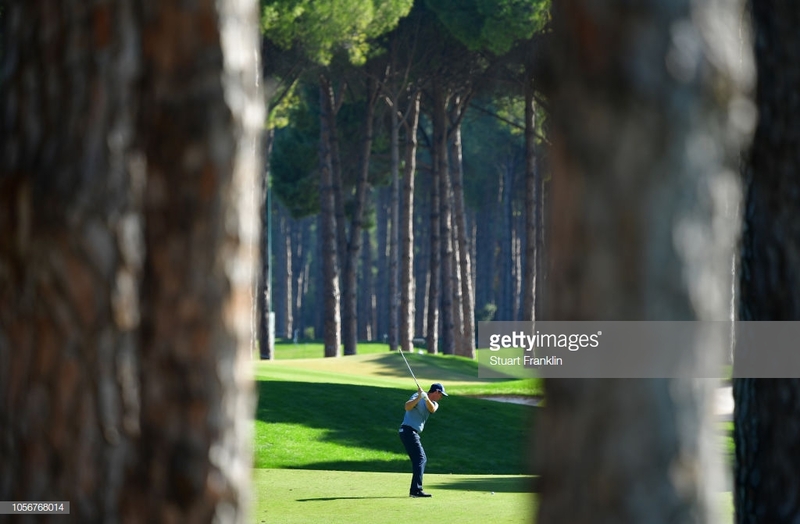 The area in Antalya that we are in has great land for golf courses, with the two courses I have played lined with mature trees. I arrived feeling good about my game and also about the venue as I played well here last year. Over the last couple of months my game has been trending nicely and it’s good to be coming to events with the confidence of decent results under your belt. This, together with my past performance on this course, has me excited about the coming week. On Tuesday Shane Lowry and myself played nine holes and afterwards I did some practice. The range has some nice targets and also a couple of trees in the middle which provide great definition. On Wednesday I did some practice before the pro-am as I knew that by the time we finished I wouldn’t want to do anything. We didn’t do particularly well in the pro-am but for me it was nice to play the 18 holes and see how the course was playing. It’s in good shape and we have a good forecast for the week, so it will play pretty much as we had it on Wednesday. I’m out at 8.25am Irish time on Thursday with Martin Kaymer and Ryan Fox, two good guys to play with as they are easy going. I’m feeling good about where my game is and how the course is playing. As it stands as the moment, I am not qualified for next week’s tournament in Sun City. I need a decent finish here to ensure getting in next week and a very good week to sort out my qualification for the DP World Tour Championship in Dubai the following week. I’m happy that it is within my control and while I want to make it to the next two events, I am focusing on this week rather than thinking about next week and beyond. I am here to try and win and if I can do that then everything else will be looked after.